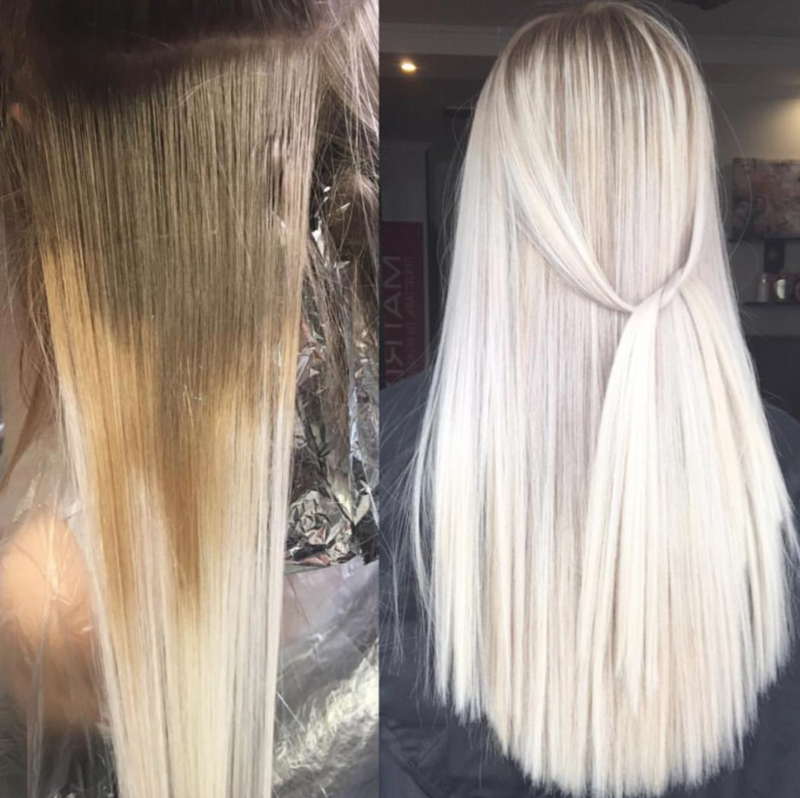 You will be amazed at the Olaplex Difference. This is the first step to repairing your hair. This application rebuilds broken bonds and starts preventing damage and repairing the hair. If you’re getting your colour done, it is mixed in with the bleach and put straight onto your hair in foils. The second step continues to repair and restore any remaining broken bonds and ensures strong, shiny, healthy hair. It is left on for at least 20 minutes to really get the most out of its chemical mending. This is a bond multiplier NOT a conditioning treatment. No. 2 must be used in conjunction with No. 1. 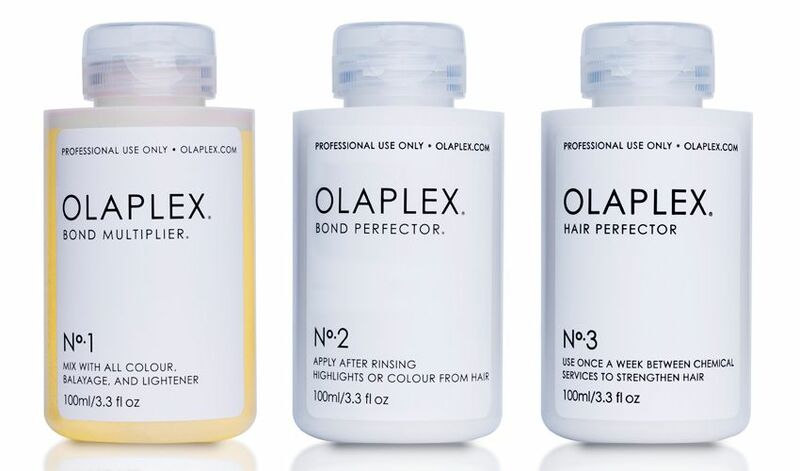 It is necessary after every single service when using Olaplex as it is a system. No. 1 is meant to help lessen the damage during the color, lightening and relaxing process, but cannot completely eliminate it. This final step provides continuous protection from ongoing damage at home. a. Apply a generous amount to towel-dried hair and comb through. b. Leave on for a minimum of 10 minutes. The longer it’s on, the more effective it is, especially for damaged hair, you can even leave it on overnight if you choose for maximum effect. c. Rinse, shampoo and condition. d. Style as you normally would.